BIKERS can now take a far-flung adventure tour while providing essential supplies to the poor schools and communities they visit off the beaten track. Freedom Bike Rental in Ecuador is the first motorbike tour company to join the global development charity Pack for a Purpose, which provides tourists with shopping lists of supplies for the communities in the destinations they are visiting. 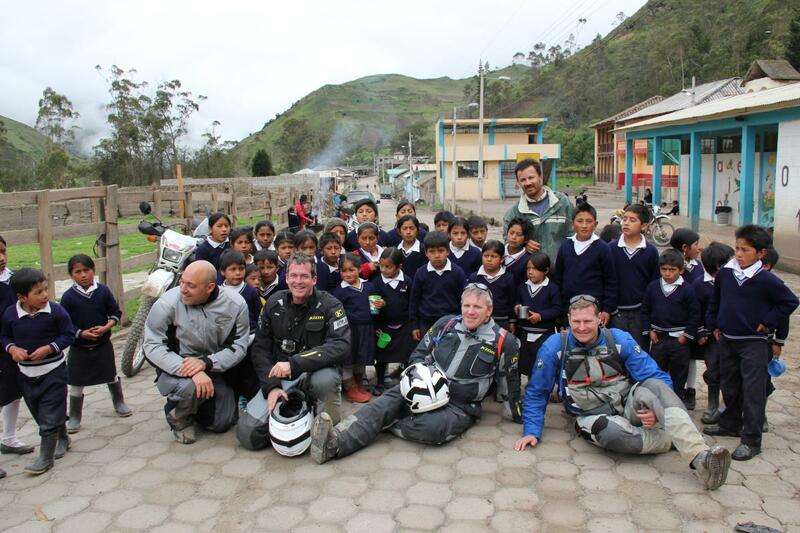 Since joining the scheme earlier this month Freedom Bike Rental has already delivered panniers full of pencils, crayons and calculators to the under resourced rural schools in the South American country. Court Rand, co-owner of Freedom Bike Rental, is encouraging all the bikers he leads on tours to spare a little luggage room to pack much-needed supplies for the 13 schools en route. Few tourists visit the communities for these small single-room schools where often one teacher can serve up to 30 pupils of different ages. The schools are often hours from the nearest town and down unpaved roads where sometimes a motorbike (or 4X4) is the only way to access them. If you're planning an upcoming bike tour then check the Pack for a Purpose website to see if anybody on your route needs anything packing.